SUNDAY, Feb. 18, 2018 (HealthDay News) — You already know that smoking causes lung cancer. 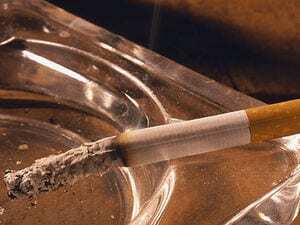 But tobacco use can lead to other major health problems, too, experts warn. “Cigarette smoking is probably the single most harmful thing you can do to your health,” said Jonathan Foulds, a professor of public health sciences and psychiatry at Penn State College of Medicine. “It’s hard to find a part of the body not affected by it,” Foulds said in a college news release. As for lung cancer, “if you smoke a pack a day or more, your risk of getting lung cancer isn’t just one-and-a-half or double that of a nonsmoker. It’s 20 times as great,” Foulds said. It’s important to tell your doctors if you smoke, Foulds and other experts say.